A quick view of the most influential metrics in Anne Arundel County. Anne Arundel is a thriving county within the state of Maryland. The county is part of the Baltimore-Columbia-Towson, MD Metropolitan Statistical Area and the Washington-Baltimore-Arlington, DC-MD-VA-WV-PA combined statistical area. Its county seat is the city of Annapolis, the county's only city, which was founded in 1650. However, the largest community in the county is Glen Burnie, which is a census designated place or CDP. The majority of the county is bordered by bodies of water including the Chesapeake Bay, Magothey River, Patuxent River and others. The county also shares its borders with the city and county of Baltimore, Kent county, Queen Anne's county and more. The county has a wonderful humid subtropical climate featuring cold winters and hot summers. The county was named for Anne Arundel of the Cornwall Arundel family. Anne was the wife of Cecilius Calvert the founder and Lord Proprietor of the Province of Maryland. The county is home to the Patuxent Wildlife Research Center and the Naval Academy at Annapolis. 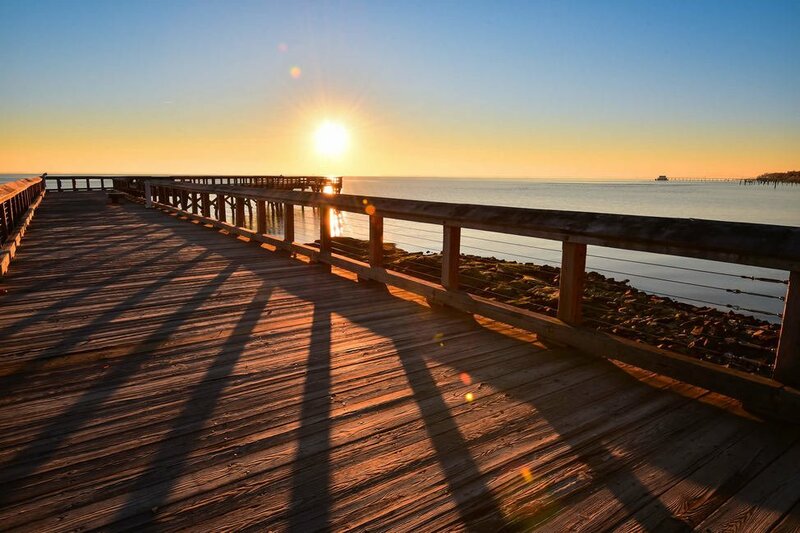 The county also has a variety of other parks and attractions, like Sandy Point State Park, which is just off the Chesapeake Bay and features a beach, marina and more. Local attractions include the Maryland Renaissance Festival, Colonial Annapolis Historic District, Jug Bay Wetlands Sanctuary and shopping centers/malls Annapolis Mall and Arundel Mills. The county spans 588 square miles, 415 square miles of land and 173 square miles of water. The 2016, population of the county was 568,346 and the population density was approximately 1,370 people per square mile. In 2010, the median household income in Anne Arundel was $83,456, the median family income was $97,557 and the per capita income was $38,660. In 2014, the Maryland Department of Business and Economic Development reported that the top five employers in the county were; Fort George G. Mead (the home of NASA), Northrop Grumman, Anne Arundel Health Systems, Southwest Airlines and Maryland Live! Casino. The county is also home to the headquarters of many state agencies such as the Department of Agriculture, the Department of Transportation and the Department of Housing and Community Development. The youth of the county are primarily educated by the schools of the Anne Arundel County public school system. There are also a number of private educational institutions in and around the county. There are many major roads running through the county which does make commuting easier, such as I-97, I-195, I-595 and I-895. The county is also home to the Baltimore-Washington International Thurgood Marshall Aiport. In many areas of the county public transportation is available in the form of buses and commuter rail service, as well as the Laurel based connect-a-ride service. Homes for sale in the area range from small and history to sprawling modern structures. Other real estate options range from apartments both low and high rise styles for rent and condominiums and townhomes for lease or rent. To find the home you need in beautiful Anne Arundel, call local real estate agent (insert name here) today at (insert number here). View our selection of available properties in the Anne Arundel County area. Check out the latest demographic information available for Anne Arundel County. Learn more about schools near Anne Arundel County complete with ratings and contact information. Browse through the top rated businesses in the most popular categories Anne Arundel County has to offer.